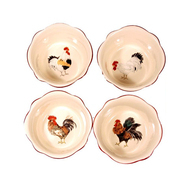 The manufacturer of these Niderviller earthenware items has a long and interesting history. 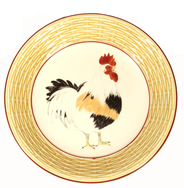 The factory was originally formed in 1735, and was later obtained by Baron Jean Louis de Beyerle, under whose direction it thrived in producing the tin-glazed earthenware, known as Faience, originally intended for the aristocracy. 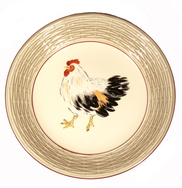 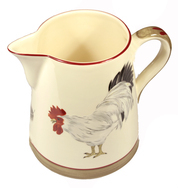 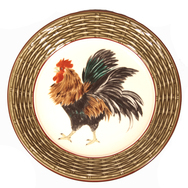 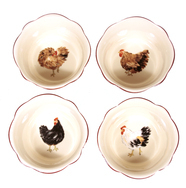 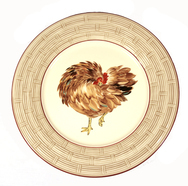 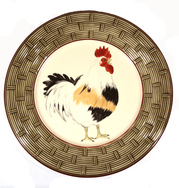 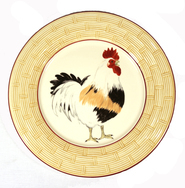 We have added a few items at the bottom of the collection, which also feature chickens, but are not from the same maker.